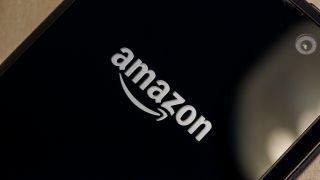 Amazon is on a quest to find new parts of your body to unlock a smartphone, and it's getting further up your torso with every attempt. The online retailer has filed a new patent that includes technology to unlock your phone if it's placed against your ear - an offering which sounds pretty redundant if you ask us. According to the science people your ear can be as unique as a fingerprint, so it's an accurate way to identify yourself and it'll be possible to unlock your phone as you put it there for a phone call. But it's going to have to be reliable; you don't want to be trying to access a phone call and fumbling around your ear to get it to work. Just remember how temperamental fingerprint sensors were when they first appeared. The technology will also read how close the phone is to your ear and adjusts the speaker volume accordingly. Amazon's Fire Phone flopped in terms of sales and did not impress critics, we gave it a 2.5 out of 5, so the company needs a big USP to sell the sequel on. Here's our review of the Amazon Fire Phone.